Captain, what kind of cellurar is this? And isn't that the USB data sync port on the phone? 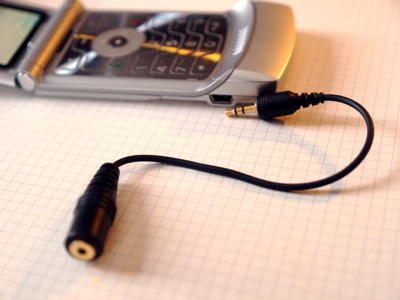 If so (assuming the phone can output audio on that port), even some way-out soldering skills wouldn't help, unless you also add some sort of usb-to-analog converter while at it.